Two success stories from Hope Springs: Bessie and Bobbie at the BETA International equestrian trade show in Birmingham. Their story is below. A small equine rehoming farm in the north of England has been named as the charitable partner for next season’s Bramham International Horse Trials. Hope Pastures helps rescue, rehabilitate and re-home horses and donkeys. Established in 1974, Hope Pastures (formal name ‘The Phyllis Harvey Horse & Donkey Trust’) was set up on land at Westwood Lane in Leeds. Since 2004, the site has undergone major renovations and opened a visitors’ centre in 2012, enabling work with the community as well as with animals. Being small has its benefits as they can act quickly in cases of neglect to give those in need instant help. It also means that 95 pence of every pound donated goes directly to care for the horses and ultimately find them a fulfilling life with a family of their own. Bramham Event Director Nicholas Pritchard said: “We wanted to support a local charity this time around and Hope Pastures are on our doorstep in Leeds. The team carry out sterling work in rescuing equines in need but also their work in therapeutic contact and education is first rate. Rescued horses at Hope Pastures. There are about 12 full-time resident horses at Hope Pastures, plus two donkeys with around 15 to 20 horses in who’ve been rescued for rehabilitation and re-homing by a team of core staff supported by more than 100 dedicated volunteers. Finding new homes with loving families is the ultimate goal for the rescued animals if possible and the charity is responsible for hundreds more out in ‘forever homes’. The centre is active in promoting and educating on animal welfare in the area, including supporting local travellers and others with little knowledge of equine welfare. They run educational and fun visits for schools, brownies and support groups as well as take ponies out on therapeutic visits to centres and care homes. Plus, their location allows them to provide therapeutic contact opportunities for people who wouldn’t normally meet equines. Fundraising and PR Co-ordinator Kim Pengelly said being the official charity for Bramham 2017 was an amazing opportunity for Hope Pastures. • The box office for the Equi-Trek Bramham International Horse Trials is open now. Bessie was in a very poor state when she was found. The rescue of Bessie was voted the ‘Top Equine Rescue Story 2016’ in a national Facebook vote, run by Horsemart, where she took 64% of the votes, more than double any other rescue. People from across the UK voted for her and their comments included, “Amazing transformation” (many times) and “Voted and I don’t even have a horse”. 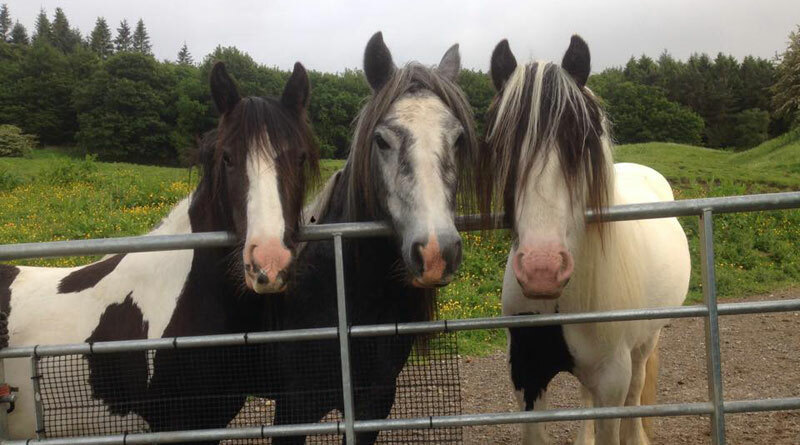 Bessie and her companion Bobby lived on a caravan site and were brought to our attention by a supporter, who negotiated with her owner for both ponies to come to Hope Pastures. Bobby arrived first and he was shockingly thin, full of worms and lice, with a matted coat and was very depressed. Bessie arrived the next day. Hope Pastures didn’t have a horsebox at the time, so her previous keeper dropped her off in a transit van. He opened the back doors and there was Bessie, squeezed in by the back seats and tins of paint and rubbish – just another ‘piece of cargo’. Bobby’s face lit up when he saw Bessie and the team realised that they were closely bonded after suffering so much together. Bessie is now a picture of good health after care from the Hope Pastures team. “Bessie’s condition was even worse than Bobby’s. She, too, was full of worms and lice but she was so severely malnourished that our yard team could see and feel every bone, and her upper legs and tummy were hot, bald and raw with urine burns. She was withdrawn, anaemic and incredibly hungry and thirsty. On thorough examination, both ponies were also found to have infections in all four hooves. The rehabilitation task began – both physical, which takes months when an animal is in the state Bessie was, and mental, which is often the most difficult for abused animals. The ponies were with us at Hope Pastures for six months and were fostered with one of our vets for a further six months, before being re-homed with Sophie and Danny.